Chavo sent a series of Tweets concerning John Cena's recent performances and his upcoming match with CM Punk at Money In The Bank. We were joined by The Whole F'N Show RVD. Jack & OIB then went over all the news & views in the wrasslin world. Controversial wrestler Orlando Jordan released from TNA. Generation Me tweeted earlier today they asked for their TNA releases. Thanks to Fat Dave for making this. NWA Crockett Era tag team Randy & Bill Mulkey coming to IYH !!! Post your questions now !!! Check out photos of Jack & Flea's trip to the Days of the Dead Horror convention !!! We were joined by Big Mama, the former wife and valet of The Boogie Woogie Man Jimmy Valiant. Jack & OIB then went over all the news & views in the wrasslin world. Raw Road to Glory Rundown!!! Tonight we were joined by Nobody! That's right just the IYH crew! Talked about all the subjects in the pro wrestling world. CM Pun fantastic promo at the end of Raw, Bound for Glory Series, Chavo leaving WWE. All this and so much more!!! 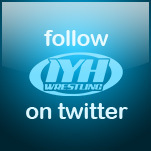 Juggalo Championship Wrestling Presents "BRING IN THE CLOWNS"
Let us know your thoughts on the IYH Forums. We want your news !!! 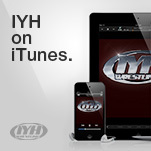 Welcome to the new look IYH website. Right now only the main page has the new design, but over the coming weeks the rest of the site will reflect the changes. There may be a few kinks to work out so bear with us. You can leave us your comments or any problems you have right here or on our Forums.